PUERTAS DE MADERA There are 20 products. 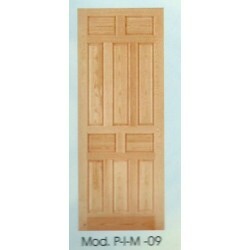 Classic exterior wooden door. 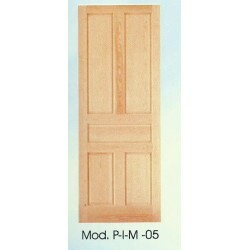 Mod.PCC-13 Solid pine door 210cm x 100cm Safety lock and spare keys included. 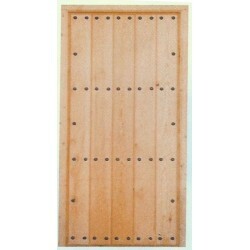 Exterior wooden blind door, Rustic Series. 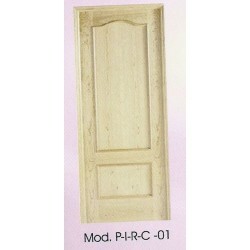 Mod.PCR-06 Solid pine door 210cm x 92cm Safety lock and spare keys included. 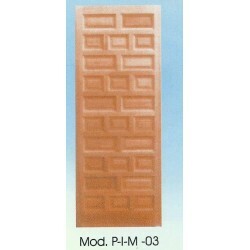 Exterior wooden door, Rustic Series. 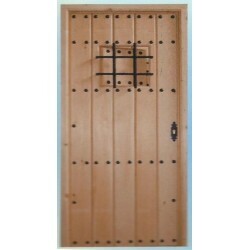 Mod.PCR-07 Solid pine door 210cm x 92cm Safety lock and spare keys included.